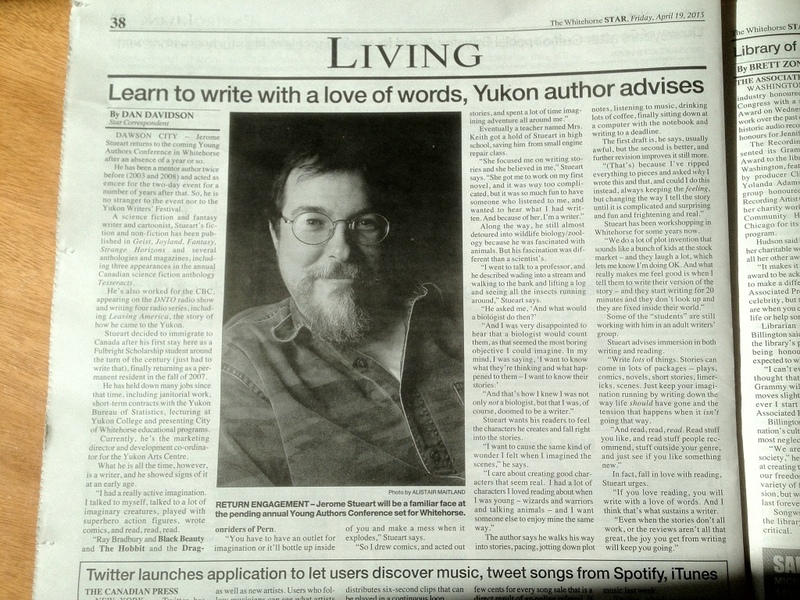 A really nice article by Dan Davidson appeared in the Whitehorse Star on Friday, April 19. Alistair Maitland did the photo. I appreciate them both. I think this Festival will be a lot of fun. It’s always good to get to teach Yukon high school students as part of the Young Authors Conference as well. 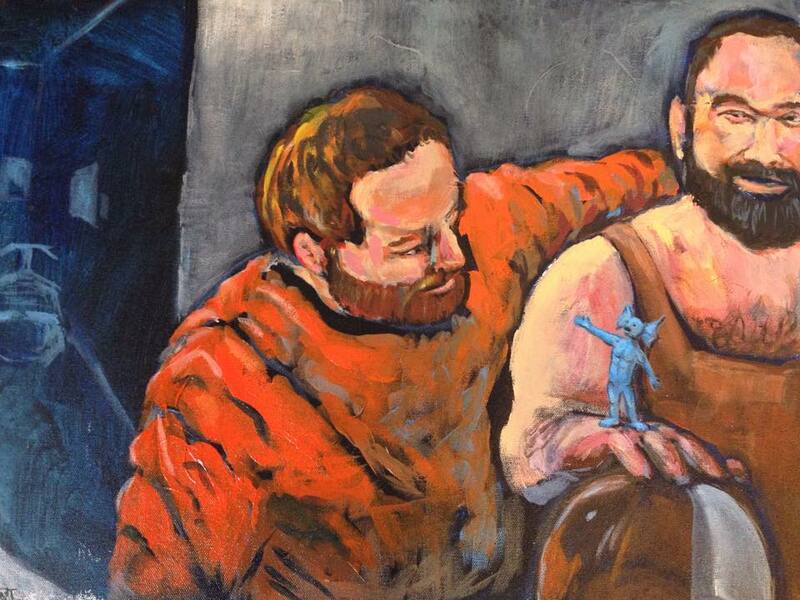 The Festival starts with a big reading at the Kwanlin Dun Cultural Centre Tuesday night at 7pm. 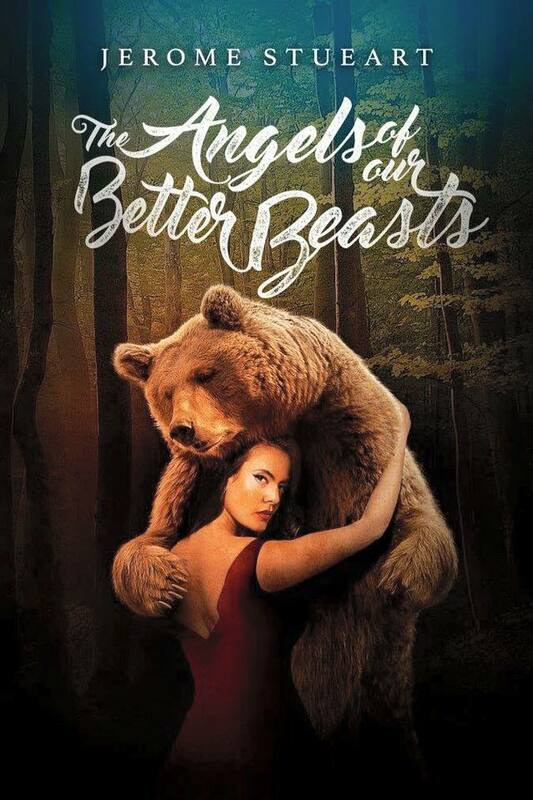 The Young Authors Conference is held the next two days after that in FH Collins Library and then we head off Friday to Haines Junction for a reading. Organizer Sara Davidson has done a great job at gathering diverse writers together. Yukoner Dennis Allen, as well as Drew Hayden Taylor and Carrie Mac and Beverley Brenna. If you can, come and enjoy the readings with us. 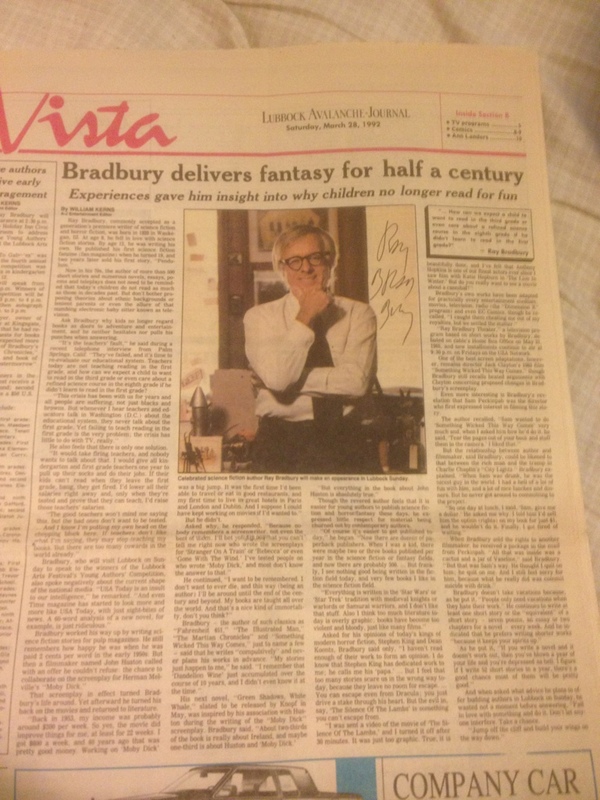 I found the newspaper Ray Bradbury signed for me. Love how he broke his signature into segments to make it fit. Just wanted to add this as my souvenir from that day in March 1992. Let’s hope his blessing hasn’t lost any power from my neglect. 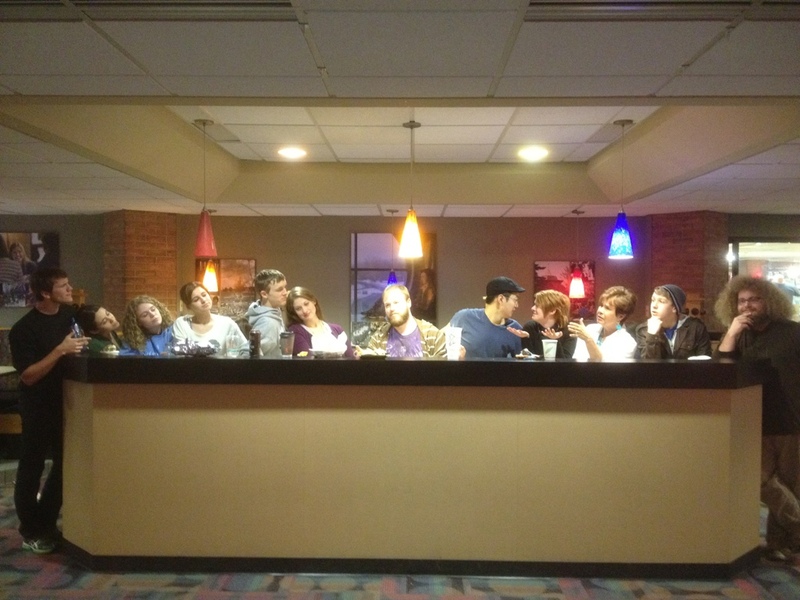 Here’s a recreation of The Last Supper at Johnny’s Cafe on the campus of Calvin College in Grand Rapids Michigan. April 20 2012.